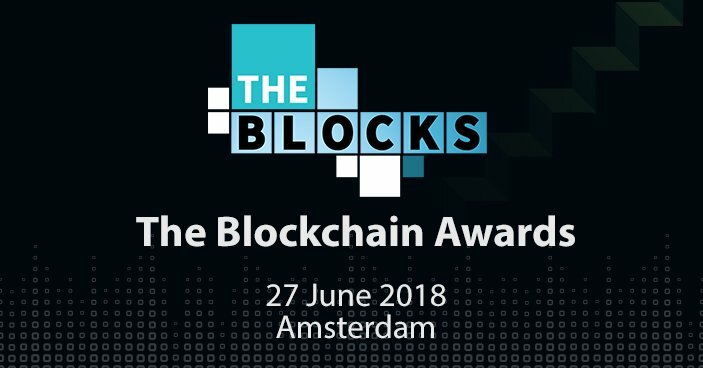 The inaugural edition of the blockchain awards, The Blocks, has been announced for 2018. The ceremony will take place in RAI, Amsterdam, during the first day of Blockchain Expo Europe 2018, Wednesday 27th June 2018. Doors open at 7.30pm for food and drink. Blockchain technology has developed at a lightning rate and new industries are continuously getting involved and ensuring that their businesses are more efficient using the technology. Due to the fast growth of Blockchain, The Blocks have been designed to recognise outstanding strategy, application, and effectiveness of blockchain technologies. An opportunity for everyone involved and interested in the blockchain technologies to assemble together and celebrate ‘excellence’ in blockchain, during a fun filled evening. The awards are free to enter and open to brands, ICO’s, technology providers, consultancies, strategists, developers and individual innovators, The Blocks provide the opportunity to be recognised as a thought-leader in your respective industry. The deadline to enter the awards is Friday 27th April 2018. Expert speakers at the London Blockchain Conference Blockchain Amsterdam Conference; Expert speakers The Blocks: Blockchain Awards Shortlist Announced Blockchain North America Conference arrives in Silicon Valley next week!